In India 'Rasoi' means kitchen. The kitchen is the most important room of an Indian household. This is where the family come together to chat, relax and eat, and there is always something delicious cooking on the stove. Like any good curry, Rasoi Lenzie has taken time - almost seven years. 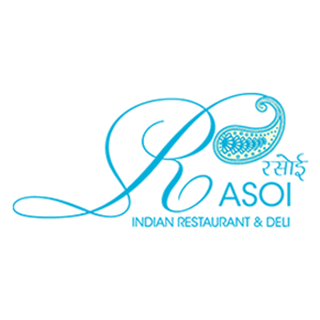 The seed for Rasoi was planted back in 1993 however. Owners Pravesh (‘Bubbles’) & Rahul Randev opened Carriages where their mother, Mrs Randev would come and cook Vegetable Pakora for the regular customers of the bar. It was said that this was the best Pakora this side of Glasgow and that the family should think about opening an Indian restaurant. Pravesh and Rahul Randev first experimented with Indian cuisine fifteen years ago with the launch of Delhi Express. This grew from strength to strength and founded a sound reputation for quality and value in the local area all thanks to Mrs Randev and her traditional home cooked dishes. A few years later the brothers acquired the bakery in Millersneuk Shopping Precinct with the vision to open a modern Indian restaurant and deli for the people of Lenzie and East Dunbartonshire. Indian cooking isn't just about simple curries. 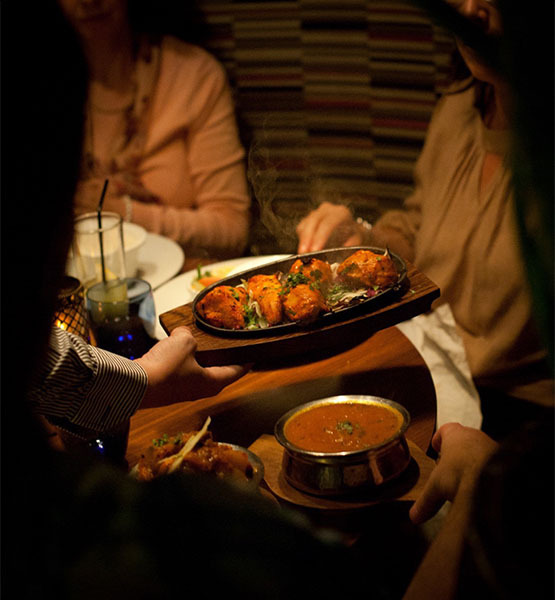 Here at Rasoi we hope to show you how bright and vibrant Indian cuisine can be. We believe we have created an outstanding restaurant with a concept which is very different to traditional Indian establishments. We are sure whatever your taste, with the highest quality and freshest ingredients partnered with a talented team, we can create a dish which is perfect for you. Our Executive Chef Sanjay Kanojia, has come from the highest quality hotels and restaurants across India and brings technical skills and knowledge of traditional Indian cookery. Our Head Chef Gurwinder Singh has travelled across Europe and India, from Delhi to Rajasthan, to Berlin to Dublin and ultimately to Lenzie, and brings a wealth of knowledge and experience. The rest of the chef team have come from Hotels across the length of India each bringing fresh insight into the diversity of Indian cooking. Now sit back, relax and be prepared to embark on a culinary tour of India, and once again a warm welcome to our kitchen, you're part of the family now. Great food and fabulous service! Very nice evening. Would go back again and recommend. 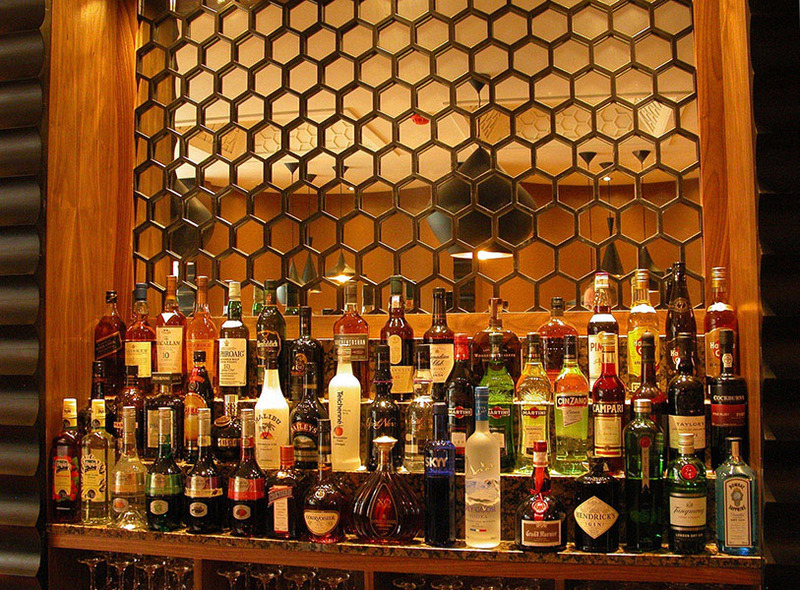 Excellent food  & staff, have never been disappointed on the numerous occasions I have been here. 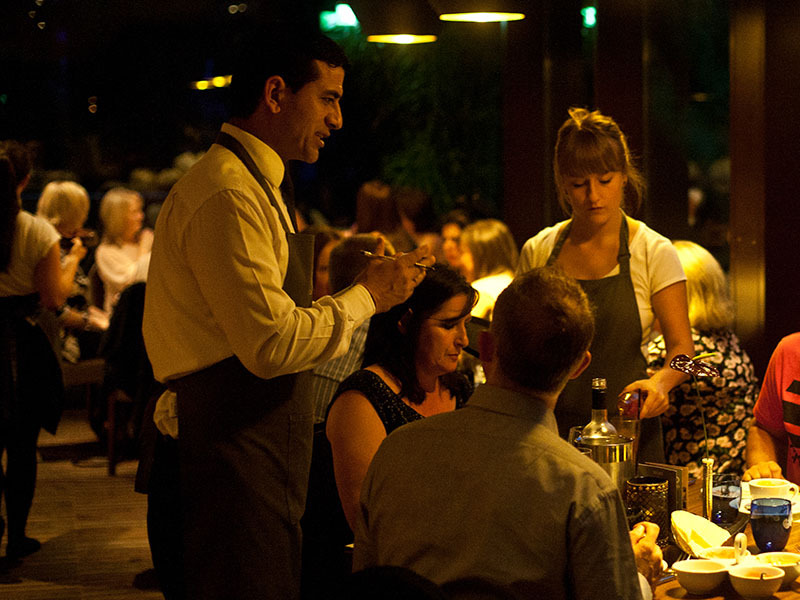 Excellent service and a delicious meal in great surroundings ...what else can you ask for? Great restaurant for food. Curries are delicious. South Indian Garlic chilli blew my socks off& went back for more. Excellent service, staff attentive & food brought out quickly. Nice and cosy decor inside, plenty of parking outside. Excellent all round, as usual. Even got my favourite booth thanks to Sundar. Had to wait a bit to have order taken but food was lovely when it came, music a bit too loud especially when u were trying to talk across a table. But apart from that enjoyed our evening. We booked the table for my birthday meal and enjoyed it. This is where we come for all of our special occasion meals. Always have a great time. Always a delight!! 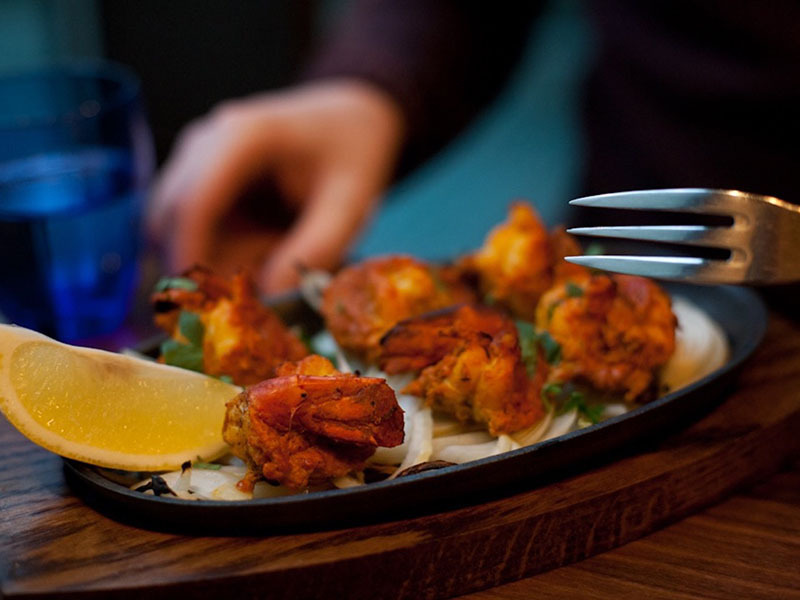 I have been enjoying the food and atmosphere at Rasoi since it opened and I always look forward to dining there. Service was very slow. After half an hour had to ask for someone to take our order. Fabulous meal as always. The chicken pakora was really fresh and tasty and Rasoi’s korma is the best I’ve ever tasted. The chasni main dish had too much garlic ..
Really disappointed... worst meal in a long time . Service not great ... waitress was aloof and didn’t remember who had ordered what dish ..
just paid the bill and left ! Excellent food as always. The veggie pakora in particular is really tasty, freshly made and not stodgy. Rice cooked to perfection. Service is always friendly. Cant recommend highly enough. Very good food and reasonably priced. Will be back very soon. selection with very pleasant staff. Once again brilliant food and service - well done! Slightly slow start on a busy evening but thereafter food and service was very good. Menu is first class.